with λ and μ being the Lamé constants and ω = 3π∕4. 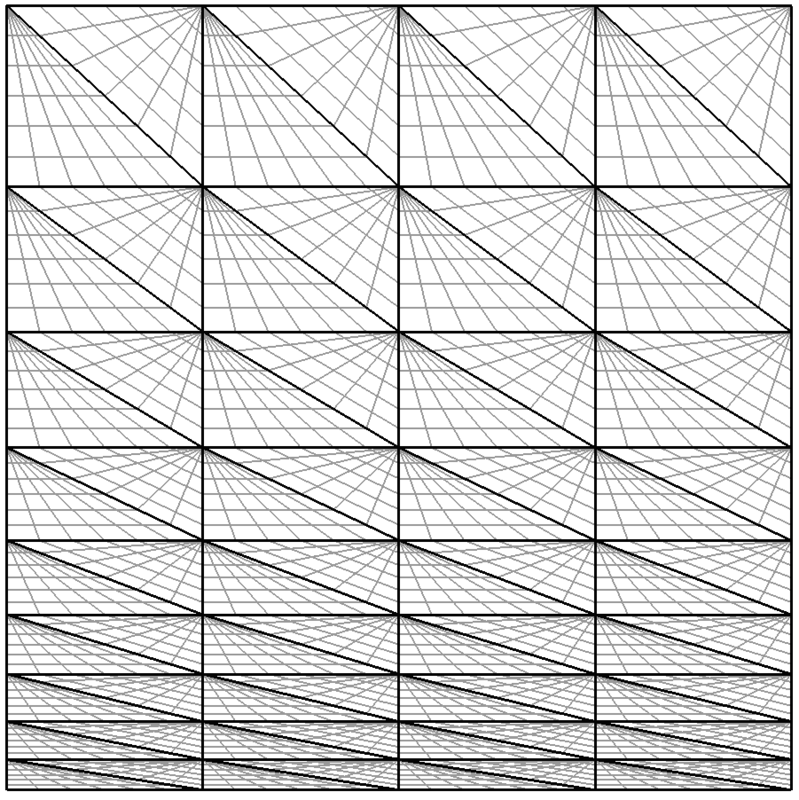 Boundary conditions are set to be the exact solution and f = 0. The solution has a singularity at the origin, and so in order to test convergence h-refinement is required. 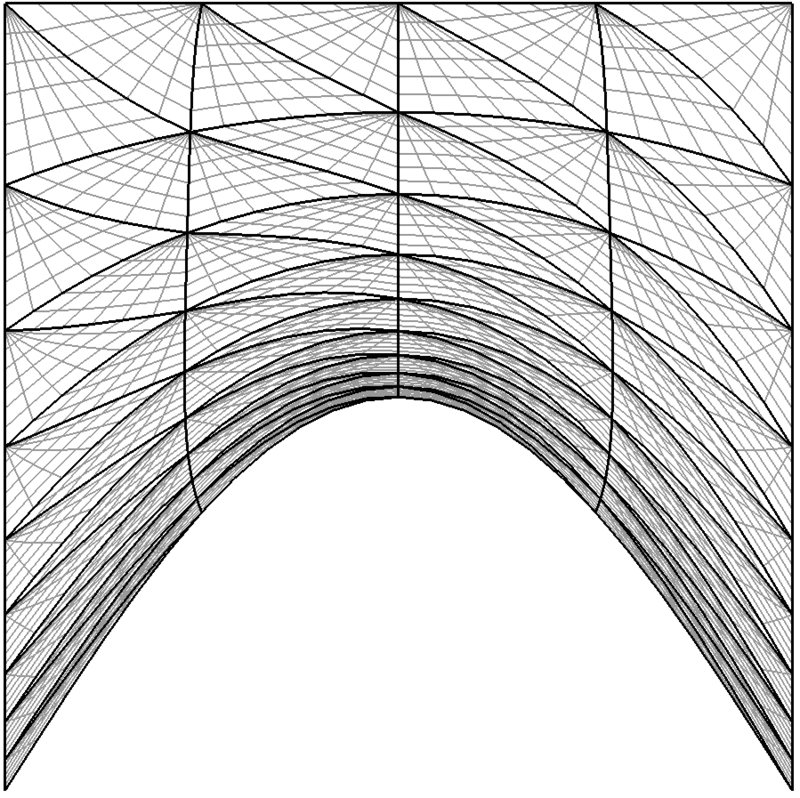 Figure 11.1: Solution of the u displacement field for the L-shaped domain. 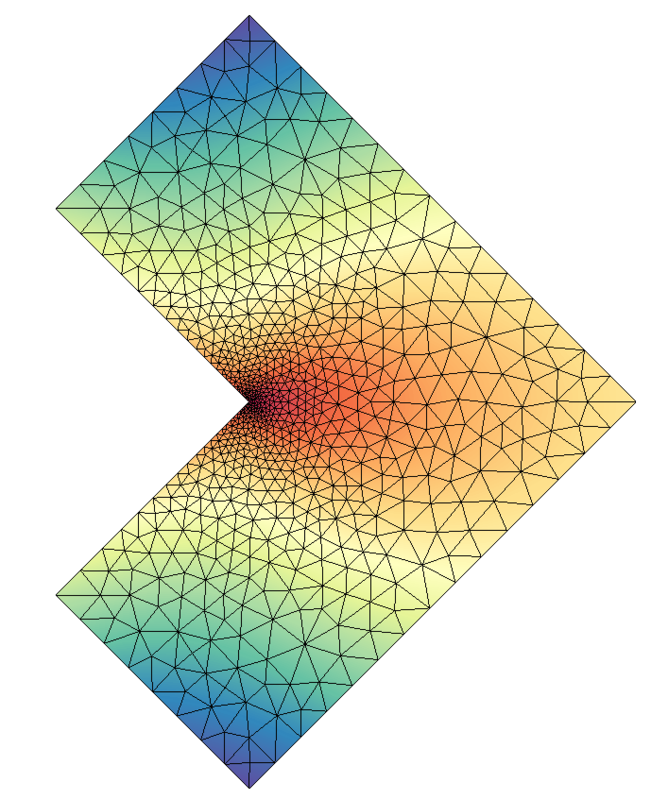 In this example we use the iterative elastic system to apply a large deformation to a triangular boundary layer mesh of a square mesh Ω = [0,1]2. At the bottom edge, we apply a Dirichlet condition g = sin(πx) that is enforced by splitting it into N substeps, so that at each step we solve the system with the boundary condition gn(x) = g(x)∕N. The process is depicted in figure 11.2. Figure 11.2: Figures that show the initial domain (left), after 50 steps (middle) and final deformation of the domain (right). This will produce a series of meshes bl-mesh-%d.xml, where %d is an integer running between 0 and 100. 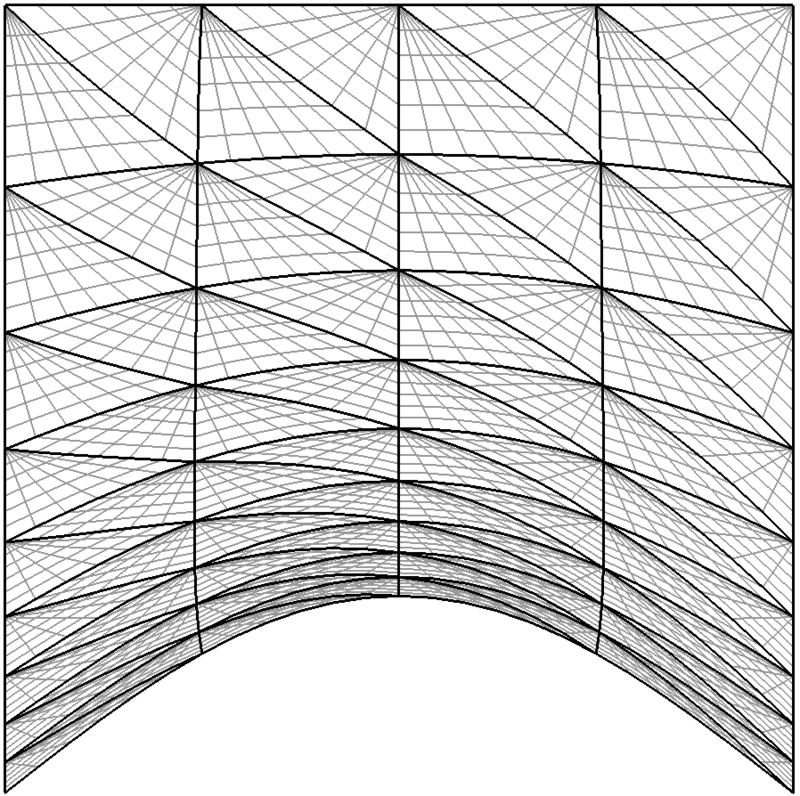 If at any point the mesh becomes invalid, that is, a negative Jacobian is detected, execution will cease.